Granule Herbs: Whole Formula or Singles? It’s no secret that Travis C. and I are both generally bulk herb people. That is, if my patients are at all willing and able, I want them to take bulk herbs. Especially since we can decoct those herbs for patients in the shop, it takes that final hurdle off the field. But the more deeply we get into practice, the more we see that there are many situations and conditions in which patients can benefit from the ease of a granule administration. Whether its traveling or hiking, busy work schedules or kids with delicate palates, our patients have had need of a simpler way of taking their medicine. Enter the granule. As individual bulk herbs cook together in a decoction pot, their constituent parts interact with one another and change the way that other components are extracted. Biochemically we think of this as creating variable pH situations, mineral concentrations, and the effect that these variables have on the extraction of other water soluble components. Chinese Medicine-wise we know that the qi of our ingredients is shaped and adjusted by its neighbors in the cooking pot. Without doubt, the interaction of ingredients when making a decoction is part of the overall effect of a formula, classic or otherwise. So what about our single granule combos? Patient’s were getting better and that is the metric we primarily use when determining the effectiveness of any sort of herbal administration. And yet, what if we could give them herbs that were whole formulas cooked together and then transformed into granules? As it turns out, we could. We just needed to bring in whole formulas from our granule vendor Evergreen Herbs. I diagnosed the patient with shaoyang disharmony (xiao chai hu tang) causing stagnation of phlegm fluids in the upper jiao (ban xia hou po tang), fluid accumulation (wu ling san), and heat from stagnation. Using whole formula granules, I was able to write a formula made of 55% XCHT, 30% BXHPT, and 15% WLS that gave me access to all the treatment principles I was looking for with a much simpler method of writing the formula. And sure, I could have taken XCHT and added some ban xia and hou po, chen pi and zhu ru, and a little zhu ling to activate the bladder qi transformation stagnating the fluids and I might have even gotten the same results. But it was intellectually fun to work from a different angle and to flex my diagnostic and herbal muscles to see how it felt to try something new. It is not to say that one form of prescribing is superior to the other, just that thinking of whole formula granules almost as singles gives us a new way to prescribe granules to patients. This method of whole formula prescribing is more common in Taiwan than on the mainland but has a very robust clinical record of getting solid results. 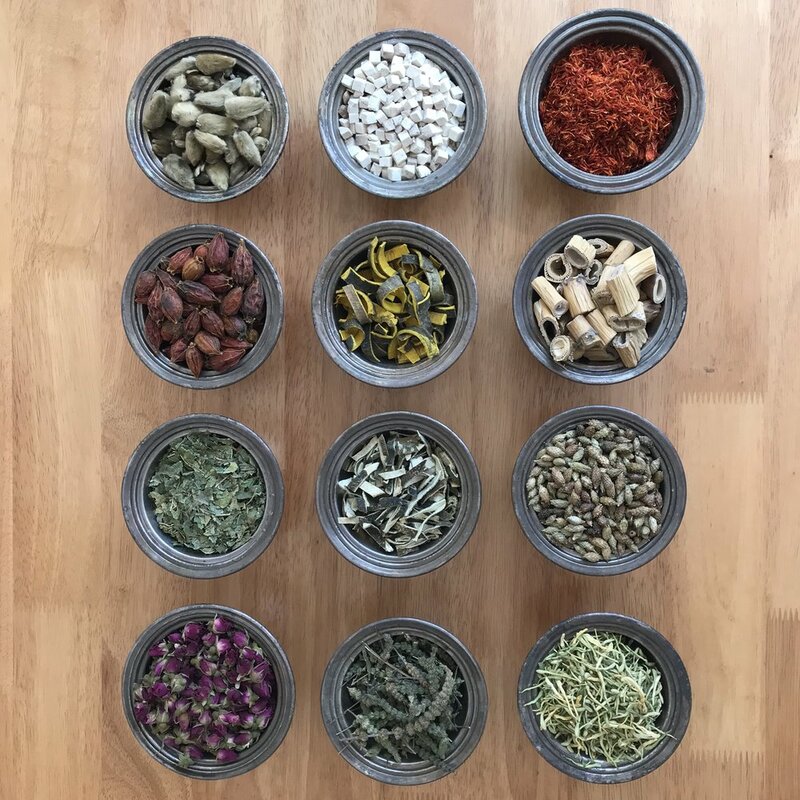 You can listen to more details about granule creation, concentration, and dosing strategies by listing to this great podcast from Qiological where herbal knows-alot, Legendary Herb Company founder and friend of Root & Branch, Eric Brand talks about the ins and outs of granule herbs. Think about using whole formula granules for their mechanisms of action collectively. No one method has all the answers but trying new ways of prescribing can keep your diagnostics fresh and effective.